The Syrian Civil War has displaced about 12 million people, with Syrians both displaced internally inside Syria and having fled across Syria’s borders as refugees. 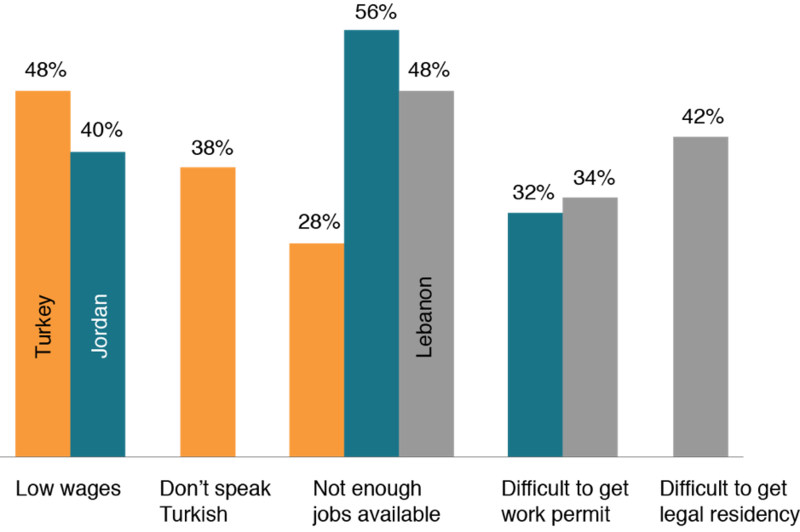 The largest number of refugees are living in three neighbouring countries: Turkey, Lebanon, and Jordan. While host countries have generously received the Syrians, and many Syrians are working, their sheer numbers have strained local labour markets, public services, and social harmony. 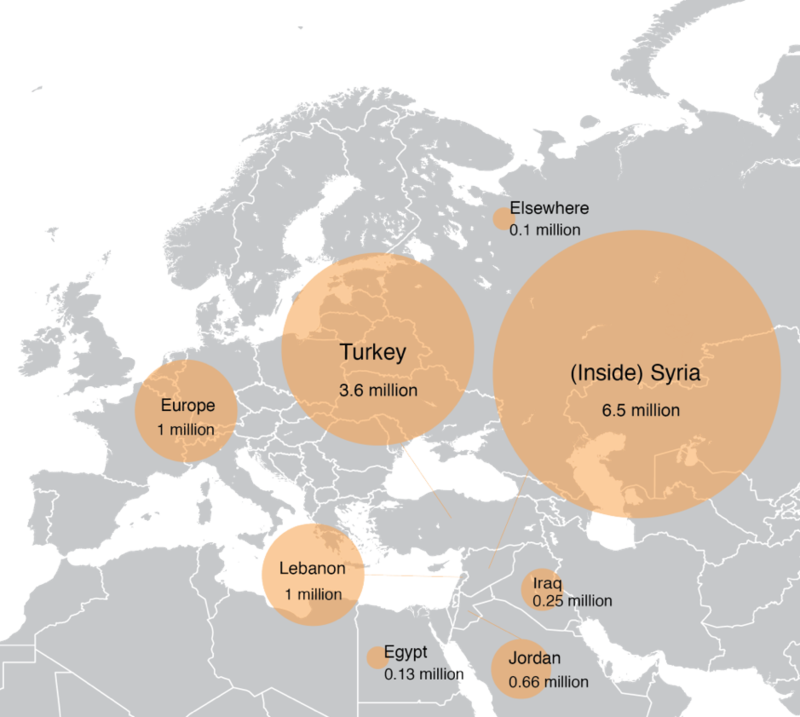 Syrian refugees in these countries need more than just ongoing humanitarian assistance. They need the self-sufficiency, dignity, opportunities, and hope that come from jobs. RAND researchers conducted six surveys with Syrians and local firms and 36 focus groups of displaced Syrians and host communities to pinpoint which policies might help create new economic opportunities, both for the refugees and for host-nation workers. Turkey, Lebanon, and Jordan have all made considerable efforts and sacrifices to accommodate the Syrian refugees. Many Syrians are working and finding ways to get by, and large majorities report that they are treated fairly by employers and coworkers. However, unemployment among refugees is high. Most work in low-skill, low-wage, and informal jobs. Provisions to allow them to work legally are not functioning as planned. Many would-be workers do not live in cities where the jobs are. Failure to enforce minimum wage laws for Syrians puts pressure on host-nation workers. Employers find Syrians to be hardworking and willing to do work that locals do not want. Host-country economies are also benefiting from the Syrians’ labour. More Syrian women are working in their host countries than in Syria before the war. Men and women alike find this socially acceptable, necessary, and respectable. Policymakers think that host countries are providing a “public good” for the world by hosting the Syrian refugees and think that donor investments in large infrastructure projects will help host-country economies and Syrians alike. None of the three countries has significant social unrest because of the arrival of large numbers of displaced Syrians. While there is widespread resentment of Syrians in the labour market and in public services, there is also genuine concern for their plight. Syrians have been active entrepreneurs in Turkey, starting more than 10,000 registered businesses. Still, barriers to growth remain. Sizable proportions of the employers surveyed reported having recruited Syrians. There are opportunities for job growth in semiskilled jobs in manufacturing in particular zones or regions. Expand Turkish-language training and capacity. Link Syrians and Turks to jobs in secondary cities with employment demand, offering training. Expand access to work permits. Expedite recognition of Syrian degrees and credentials in Turkey.Provide transportation for women to jobs. Offer short vocational training courses on needed skills to both Syrians and Jordanians. Identify and scale up proven training programs and improve matching of employers and workers.Improve environment for doing business. Simplify and streamline the process for issuing work permits. Explore enforcing minimum wage laws and minimum working condition laws for both Syrians and Jordanians. Offer short vocational training courses on needed skills to both Syrians and Lebanese. Decrease restrictions on sectors where Syrians can work. Increase governance capacity, including municipal, to facilitate foreign investment. Improve matching of employees and employers.